KACEE, a native of Northern California, began singing at the age of 5. She studied many instruments throughout her youth, but it was singing that captured her attention and her heart. She began studying voice at 15 years of age. At 17, she left home to attend University of the Pacific in Stockton, California and was fortunate enough to be able to study at their Conservatory of Music. She studied many styles, including classical, jazz, baroque and improvisation, was a soloist for a variety of vocal ensembles, and was honored to represent the Conservatory as their jazz vocalist. It was during her time at U.O.P. Kacee began singing professionally, learning the art of commercial recording through jingles, songwriter demos and soundtrack work. After graduating, she brought her voice and experience to Los Angeles, where she began a studio singing career and modeling in commercials, print ads and feature films. She has since established herself as a successful recording artist, arranger and producer, stage actor, and commercial singer. In 2001, Kacee joined the vibrant world of theater when she was cast in "Love, Janis," an off-Broadway rock musical about the life and music of the legendary Janis Joplin. Kacee's name was forever inked on a very short list of women who have been honored to play such a rich and challenging character. Over the next decade, she joined the production at various theaters, including San Diego Repertory Theatre, Kansas City Repertory Theatre, and Downstairs Cabaret Theatre. 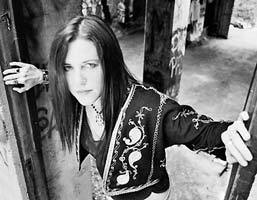 In 2002, Kacee joined Big Brother And The Holding Company, Janis Joplin's original San Francisco-based band, as their lead vocalist. She toured and performed with BBHC throughout the U.S. and Europe over the next decade, carving out a name for herself and solidifying her reputation as a raw and energetic powerhouse. 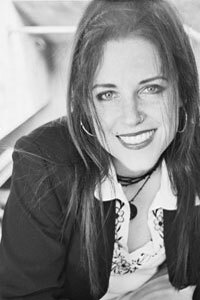 Kacee released her debut CD, Seeing Red, in 1996 and quickly found herself immersed in the vast talent pool of Los Angeles, working with amazing players/singers such as Danny Jacob, Coco Montoya, Ray Brinker, Tom Lilly, T Lavitz and vocalist Robbie Wyckoff. Kacee's sophomore effort, Mama Came to Sing, delivers the raw vocals and powerful lyrics that are the cornerstone of Kacee's songwriting. She teamed up with co-writers and close friends, Tom Lilly and Jon Nichols, relationships that were proven magical indeed. Kacee was honored to work with many of her other close friends and musical peers: Ray Brinker, Jon Greathouse, Janelle Sadler, Robbie Wyckoff, Ryan Drummond, David Crozier, Yvonne Perea and Maureen Baker. Kacee was privileged to join power-house rock singer and friend, recording artist Beth Hart, to support her 2003 release, Leave the Light On, as a background singer. Although Kacee is no longer part of this hard-hitting ensemble, she remains close to them and is a huge fan. 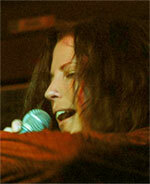 Kacee joined forces as a background singer with the legendary Joe Cocker on his 2005 Heart & Soul world tour. She completed a second tour to support the release of Hymn For My Soul, which wrapped up in early 2008. Kacee joined the LACM faculty 2008-2015 as a vocal and performance instructor and was instrumental in designing the physical performance program, rock history curriculum and performance classes, and the mentor program. She continues to work as a private coach and producer for independent and signed artists, theater casts (recently coaching productions of Spring Awakening, The Last 5 Years, Dogfight), and others. In the summer of 2008, Kacee's experience as a background singer and her long lost degree in Spanish combined to secure her the gig of a lifetime: singing behind the incomparable Luis Miguel on his "Complices" tour. She was honored to work with this incredible team of musicians until the spring of 2012. 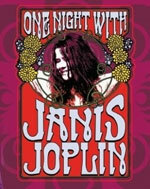 In 2013 Kacee was cast as the lead in One Night With Janis Joplin, a high energy rock musical that explores Janis and her musical influences, created and directed by Randy Johnson. Shortly thereafter, she learned the show was Broadway bound. Kacee performed in pre-Broadway productions at ZACH Theatre in Austin, TX and San Jose Repertory Theatre. In the fall of 2015, Kacee joined the incredible ensemble in the world premier of Breaking Through, playing Karina du Soleil, an aging rock star who serves as a cautionary tale for the lead, played by Alison Luff, a young, talented singer/songwriter who is trying to navigate the treacherous, shark-filled waters of the music industry and embarks on a compelling journey to find her way back to her authentic self. Breaking Through is directed by the amazing Sheldon Epps and features a score by Emmy award-winning songwriter and producer Cliff Downs (The Voice, American Idol), and Katie Kahanovitz (Girls Night Out Pop Radio), with a book by Kirsten Guenther (Mrs. Sharp, 2008 Richard Rodgers Award-winner; the upcoming Benny and Joon). In 2013-14, a dream came true when Kacee was cast as the alternate lead on Broadway at the historical Lyceum Theatre. She has since played the alternate lead at The Pasadena Playhouse, and the primary lead at the 5th Ave. Theatre in Seattle, the Alley Theatre in Houston, and A.C.T. 's Geary Theatre in San Francisco, being an integral part of the 50th Anniversary of the Summer of Love.